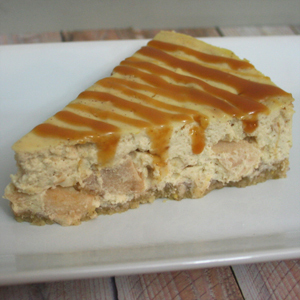 A decadent and delicious cheesecake with chunks of real Fuji Apples. 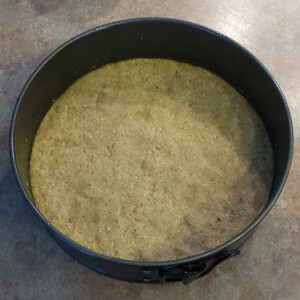 The coconut-almond crust not only makes this recipe Gluten Free, but Low Carb as well. 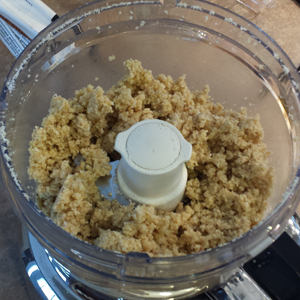 To make the crust, in a food processor combine the unsweetened coconut, almond flour, walnuts, butter, 1 tsp Truvia and 1/8 tsp salt. Pulse to combine. Mixture should not be too wet. Liberally grease a 9 inch springform cheesecake pan. Press the prepared crust into the bottom of the pan, working slightly up the sides. 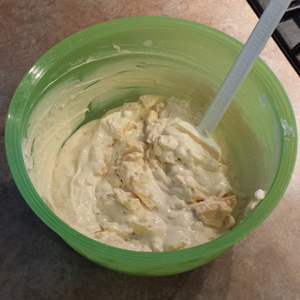 To make the filling, mix together the cream cheese, sour cream, 1/2 tsp. Truvia, vanilla, 1/8 tsp. 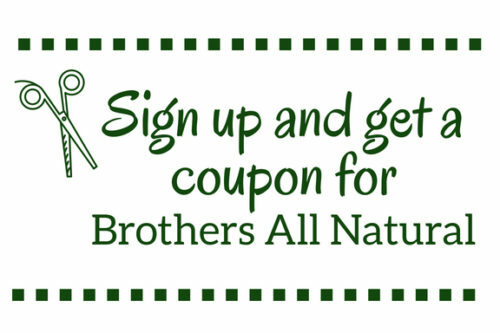 salt, lemon juice and zest, cinnamon, and Brothers-All-Natural Fuji Apple Fruit Crisps. Add the eggs one at a time, making sure to completely incorporate in between each addition. Do not over-mix batter. Pour the batter on top of crust. Tap the pan on a flat surface a few times to work out any air bubbles. Wrap the bottom of the pan tightly with foil. Gather a pan that is larger than the cheesecake pan. Fill it with about 1/2 inch or so of warm water. Place the cheesecake pan (with foil on bottom) into the water bath. The water should come about half way up the sides of the pan. Bake the cheesecake for 90 minutes then turn the oven completely off. Let the cheesecake sit in the oven for an additional 1 hour. Do not open the oven door during this time. 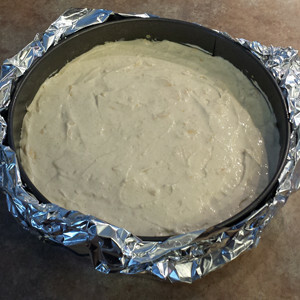 Once the hour has elapsed, remove the cheesecake pan from the water bath and let it cool for about 20-30 minutes. Remove the springform at this time. Do not wait for cheesecake to cool completely before taking off the springform or it will pull off the sides of the cheesecake with it. Let cheesecake fully cool, preferably in the refrigerator for at least 4 hours. Slice with a clean,warm knife and serve. Note: the bottom of the cheesecake pan is wrapped in foil to further prevent water from entering the springfrom pan and seeping into the cheesecake. Most springform pans, especially if older, will leak, so use foil (even double wrap up foil) to prevent water from seeping in.